The third album from Cambridge band Lizard Brain is a refreshing cornucopia of a dozen tracks where each one is completely different in style and substance; lovingly crafted in their studio by the perfectionist quartet. Opening with an electronic sequencer pattern ‘Lost In Sound’ is a poppy song drenched in effects and frequently returning to the hookline of the title, referencing Bowie’s Space Oddity along the way. ‘Gannets’ is a guitar driven rocker with a neat descending chord sequence. Then to surprise the listener we have the loping reggae of ‘Am I Just A Name Now?’, with a lyric of resignation regarding the digital world ‘…I’ve got more friends now…than I’m ever gonna need…’. ‘My Thing And Your Thing’ is a cryptic folk-rock prog piece, needing extra listens to untangle it. ‘Red Dress’ is a standout. As deep industrial electronic slabs of sound drift in and out the surreal words are darkly comic. It is an excellent song; a hybrid of Robyn Hitchcock meeting mid-period Depeche Mode. ‘Nothing To Say’ rocks along solidly then a tight 80s jazz-funk feeling pervades the next two tracks; ‘Should I Tell You?’ is a catchy pop single then ‘Never Felt So Good’ is nearly seven minutes of laid back goodness featuring flute, saxophone, bar chimes, synthesiser, languid vocals and some of the instrumental unpredictability of later Steely Dan. My current favourite is the unexpected blast of Northern Soul of ‘Back To You’, a perfectly formed confection of upbeat lyric, blaring horn and Hammond organ sounds, pounding drums and bass and the biggest hookline chorus on the album. Brilliant! ‘Are Your Hands Any Warmer Yet My Dear?’ is a medieval psychedelic waltz with beautifully played classical guitar, recorders, crickets and a gothically sinister lyric about a strange relationship featuring imagery such as ‘….I buy a guitar cut out from cardboard…see I drew on some strings…’. This is a track to treasure; unusual and satisfying. Finally we hear the insistent pulsing patterns of ‘Freedom (Summertime)’, a gradually building anthem of escape and optimism. As the album reaches the end you realise that you have never heard anything quite like this celebratory and stylistic collection of excellent songs. 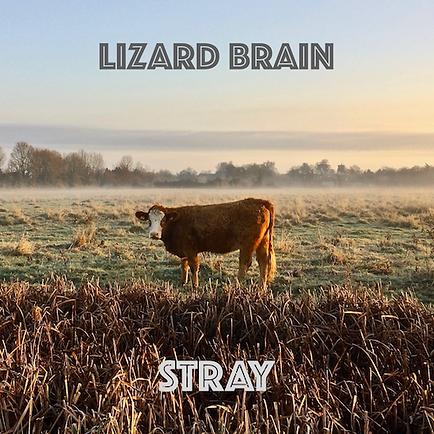 This entry was posted in Music and tagged album, Cambridge, Lizard Brain, LP, review, Stray on January 15, 2019 by iknoweno.